Lev.19:26: Neither shall you use enchantment, nor observe times. Dt.18:10-12: There shall not be found among you any ... that uses divination, or an observer of times... For all that do these things are an abomination unto the LORD. Is.47:13-14: Let now the astrologers, the stargazers, the monthly prognosticators, stand up, and save you from these things that shall come upon you. Behold, they shall be as stubble; the fire shall burn them; they shall not deliver themselves from the power of the flame: there shall not be a coal to warm at, nor fire to sit before it. Jer.10:2: Thus says the LORD, Learn not the way of the heathen, and be not dismayed at the signs of heaven; for the heathen are dismayed at them. Gen.1:14: And God said, Let there be lights in the firmament of the heaven to divide the day from the night; and let them be for signs, and for seasons, and for days, and years. Jg.5:20: The stars in their courses fought against Sisera. Mt.2:1-2: Now when Jesus was born in Bethlehem of Judaea in the days of Herod the king, behold, there came wise men from the east to Jerusalem, saying, where is he that is born King of the Jews? For we have seen His Star in the east, and are come to worship him. Lk.21:25: And there shall be signs in the sun, and in the moon, and in the stars. Thus, there seem to be enough biblical grounds both for and against. But let us not enter into the intricate issues of context, interpretations and contradictions (etc.) regarding both sides of the biblical passages. That is not the focus here. Comparative studies with Enneagram and allied sciences have shown that on the area of human behaviour, temperaments and compatibility, it is more or less a matter of approaching one issue from different routes with different methods, but with similar results. However, when it comes to daily or periodic predictions of the future, palm reading and other occult aspects, it takes a different turn into determinism. Here, many who have studied and accepted the aspects of human behaviour, temperaments and compatibility do not feel comfortable with. In any case, no knowledge is a waste. You may read about yours, and that of friends and relations whose life styles, behaviors and temperaments are familiar to you. Check out also your compatibility with them. Compare it with the reality you know out of experience about your person or theirs. You may discover that on the level of knowledge, it has sound facts, instead of mixing ignorance with the prejudice of unbelief. However, this does not recommend any further use of the Zodiac signs beyond its established data on human behaviors, temperaments and compatibility. 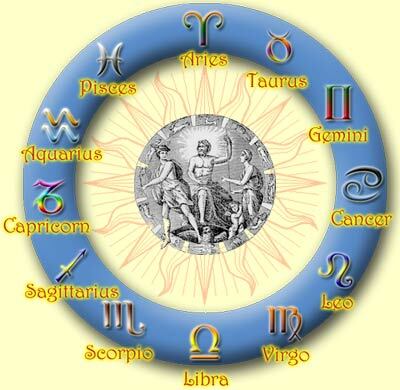 Below are the Zodiac signs and their compatible stars. > Taurus goes with Virgo, Capricorn, Cancer and Pisces. > Cancer goes with Scorpio, Pisces, Taurus and Virgo. > Leo goes with Aries, Sagittarius, Gemini and Libra. > Virgo goes with Taurus, Capricorn, Cancer and Scorpio. > Libra goes with Gemini, Aquarius, Leo and Sagittarius. > Scorpio goes with Cancer, Pisces, Virgo and Capricorn. > Sagittarius goes with Leo, Aries, Libra and Aquarius. > Capricorn goes with Virgo, Taurus, Scorpio and Pisces. > Aquarius goes with Libra, Gemini, Sagittarius and Aries. > Pisces goes with Scorpio, Cancer, Capricorn and Taurus.